Beautiful and historic, the villages of Sintra and Cascais make the perfect pair for a Lisbon day trip. 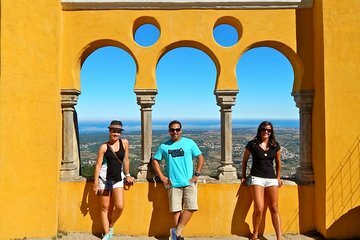 Visit them both with one easy booking on this tour, which takes you to highlights such as Pena Park, Pena National Palace, and Sintra's UNESO World Heritage-listed historical district. This tour additionally includes transportation with hotel pickup and drop-off via a climate-controlled and WiFi-equipped vehicle.